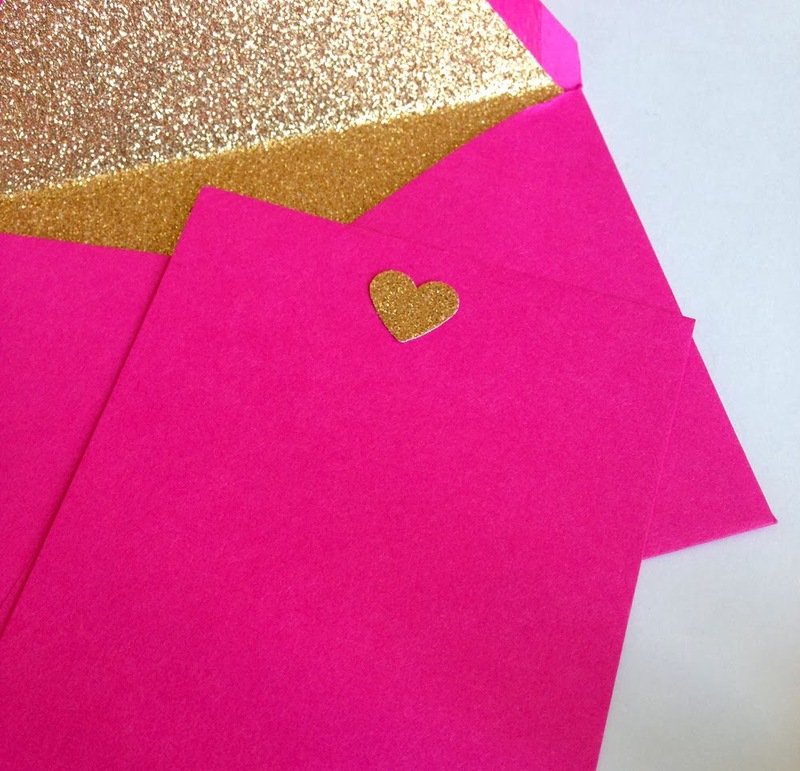 With a little over two weeks left until Valentine's Day, that leaves plenty of time to mail some love letters. Even though there are a ton of pretty cards out there (I'll round up my favorites for you soon) I thought it would be fun to do a little DIY stationery project. I primarily used products from Paper Source: A7 and 4 Bar notecards and envelopes, plus glitter wrapping paper for the envelope liners. To make the liners I used the envelope liner template - it comes with stencils for envelopes in all the sizes they carry. 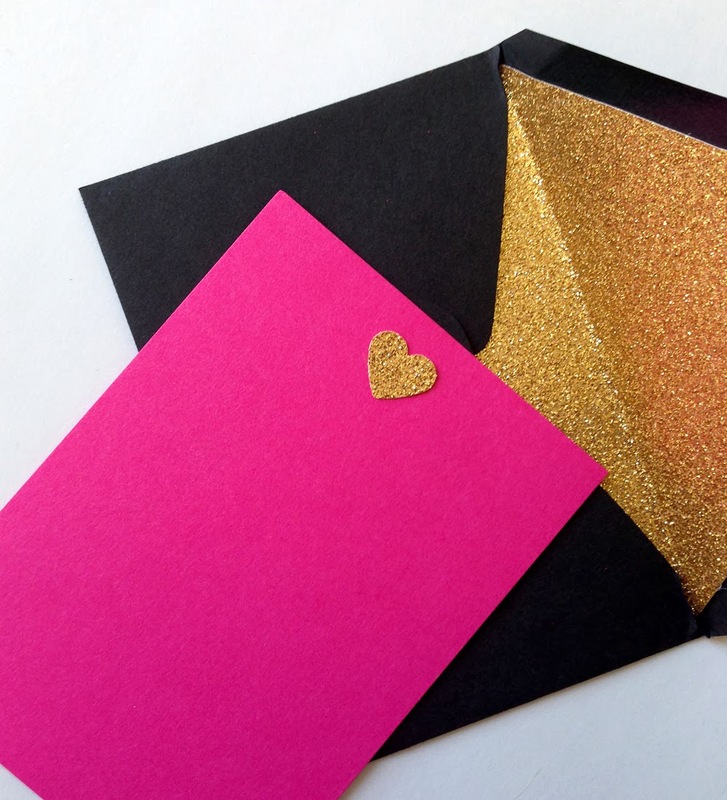 You simply trace the template on the glitter paper, cut to size, insert the paper into the envelope and use a glue stick to secure it. I also used this template a few weeks ago for baby shower invitations. For the small glitter hearts, I used a heart shaped craft punch, then glued them on. 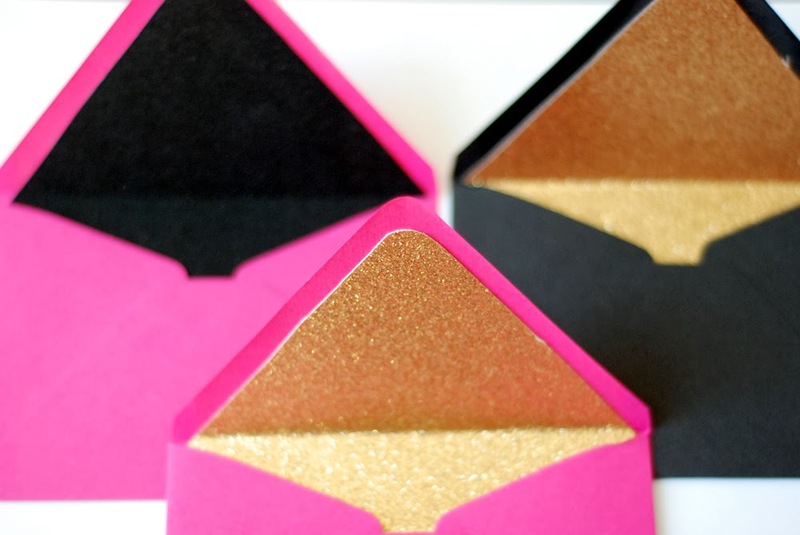 To write on the black envelopes, I suggest Sharpie's metallic fine-tipped markers in gold and bronze. I love scouring Etsy for vintage postage. 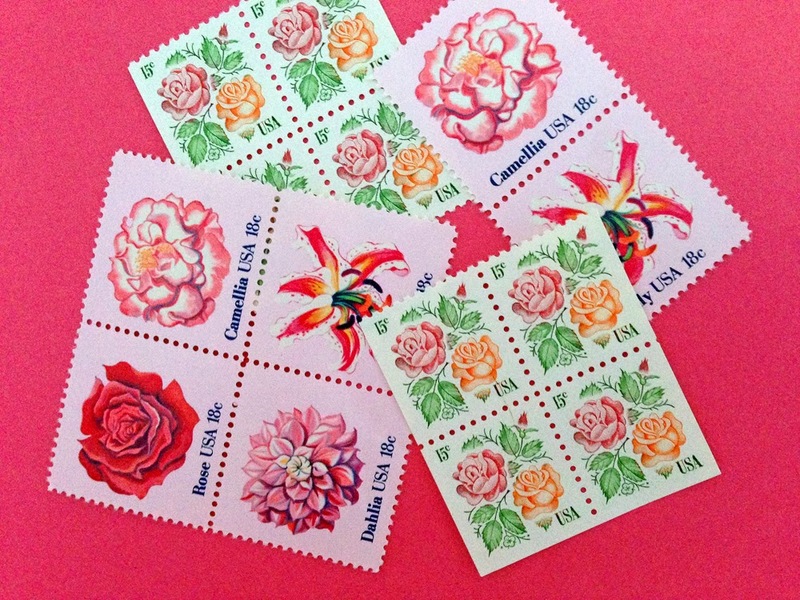 I found these floral stamps on Pack and Post. Note the postage rate increase to 49 cents (from 46) that went into effect this past Monday January 27 when stamping your envelopes. 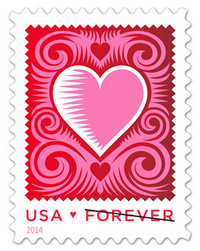 USPS just released the new 2014 Love stamp last week. I'm really into the mix of red and pink this year. What do you guys think? ?